You have begun to sing in the choir; therefore, you glorify the Lord in the image of the heavenly hosts, who ceaselessly sing praise to the glory of their Creator and Lord. How fortunate you are! But do you acknowledge the full sacredness and importance of this godly work, which incomparably more than any other work is worthy to be called godly work? If not, then it is not superfluous to remind you of the threatening and terrible words of the Prophet: Cursed is the man that doeth the work of the Lord carelessly (Jer. 48:10). You see to what a terrible accountability those are liable who negligently and carelessly perform the work of serving God. The chanter (or singer) is the mouth of the Church, i.e., of the society of believers who are praying in church; while singing prayers and hymns, he pronounces them not only for himself, but in the name of all who are present in church, and as all who are praying pronounce their prayers through the mouths of the singers, these last also are the mouth of the Church. Chant unto our God (Ps. 46:7), the Holy Church invites them, but chant ye with understanding (Ps. 46:9). Consider and take heed: of Whom do you sing, to Whom do you pray, before Whom do you stand? You stand before the One before Whom the angelic ranks stand and walk with fear, covering their faces! You sing praises to the One of Whom all the heavenly powers ceaselessly proclaim: Holy, Holy, Holy, Lord of Sabaoth! Understand how high the work of the chanter is. Understand and admire the mercy of God, Who allows even earthly sinners to bring praise to Him! This heavenly work is the work of an angel and not of a man having unclean lips, as the holy Prophet Isaiah expressed, having heard heavenly singing: Woe is me, for I am pricked to the heart; for being a man, and having unclean lips, I dwell in the midst of a people having unclean lips (Is. 6:5). And you, infirm, weak, and sinful, have been entrusted with such a great work. This talent which has been entrusted to you by the Lord, is a talent which you must bring forth and increase by employing it with understanding. With all humility and fear towards God say mentally to your soul: Behold, my soul, the Master entrusts thee with a talent: receive His gift with fear; and thou hast heard the condemnation of him who hid his talent, O my soul: hide not the word of God, but proclaim, sing of His glory, increase the gifts of grace entrusted to thee, and thou shalt enter into the joy of thy Lord (Stichera on Lord, I have cried and on Lauds, Great and Holy Tuesday). The Lord is not slack concerning His promises (II Peter 3:9), (i.e., will not delay to fulfill them) to come again and exact an account from His slaves, whom He entrusted with His goods, His gifts and talents; take care, that you not hear the dreadful condemnation: Take from her My talent, which she didnt wish to bring forth with great labor, and cast ye the unprofitable servant into outer darkness (cf. Matt. 25:28, 30). The great labor of a chanter consists in this, that all the strengths which have been given to him from the Lord's talents he unremittingly applies to the glorification of God. Sing to the glory of the name of God, sing not only with lips and voice, but sing with heart, sing with mind, soul, will, desire, zeal—with all your being. This is what it means to chant with understanding. The singing of the chanter passes over to the hearts of those who are praying; if the singing proceeds from the heart, it meets the heart of the listener and so influences him that it is able to rouse him to prayer, to incite reverence even in those minutes when the heart itself is distracted and hard. Often it happens that those who enter the church without any eagerness toward prayer, from compulsion or from propriety, begin to pray fervently and tearfully, and leave the church in quite another frame of mind, in a spirit of tender feeling and repentance. Such a revival is produced in them by the magnificent service and fine singing. And conversely, often it happens that those who enter the church with the intention to pray from the soul, to pour out before the Lord their sorrowful soul, when they hear scattered, careless singing and reading, themselves little by little become distracted, and instead of profit they find harm, they receive no consolation and, having been tempted by the conduct of the singers, involuntarily fall into the sin of condemnation. And as the Lord says about those who cause temptation: Woe to that man by whom the offence corn eth; it would be better for him that a millstone were hanged about his neck, and that he were drowned in the depth of the sea (cf. Matt. 18:6,7 and Luke 17:1,2). If such is the terrible judgment of the Lord against everyone who shall offend one of these little ones (Matt. 18:6 and Mark 9:42), i.e., those who believe, then do not chanters, and generally all those of a clerical office who cause temptation, deserve an even more terrible punishment, who by their vocation ought to serve as a good example for others, and not as a temptation? And so fear lest through tempting behavior on the cliros, through careless singing and dispersed conduct, you pour the poison of temptation into the hearts of those who are praying, and so be subjected to the punishment promised to those who tempt! Fear to do the work of the Lord carelessly, in order not to hear that curse which is threatened accordingly! Strive with all your strength to concentrate attentively on the words which you pronounce; pronounce them in such a manner that they come from the depth of your soul, which is singing together with your lips. Then the sounds of the vivifying current of your hymn will pour into the souls of those who hear them, and these souls, being raised from the earthly to the heavenly, having laid aside all earthly care, will receive the King of Glory Who is borne in triumph by the Angelic Hosts. 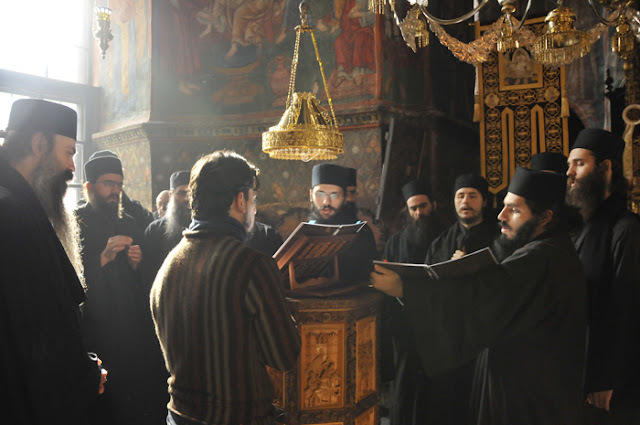 Will you believe my words if I tell you from the narratives of the Holy Fathers that not only the human soul can be softened and moved by good spiritual singing, but even animals, those speechless creatures, somehow instinctively bow before it? 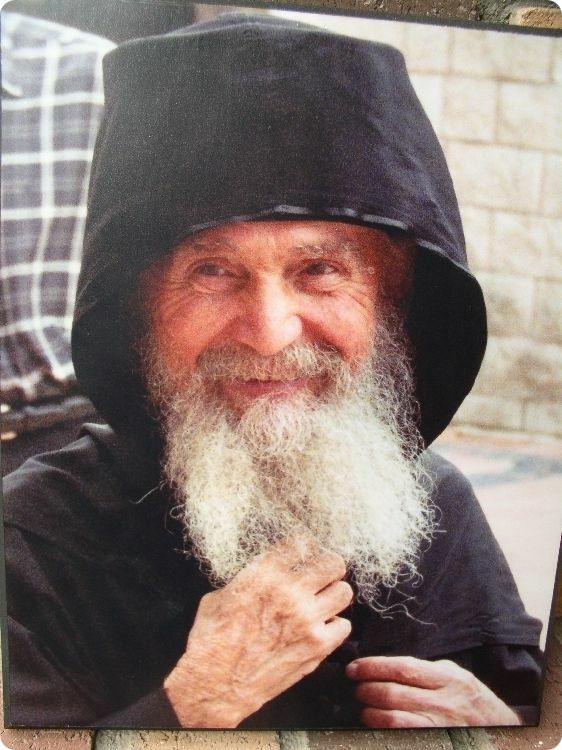 Have you ever chanced to read the life of the Athonite monk St. John Kukuzelis? There are mentioned the following two events from the life of this great singer. Once he was pasturing the monastery's herds of sheep and goats. 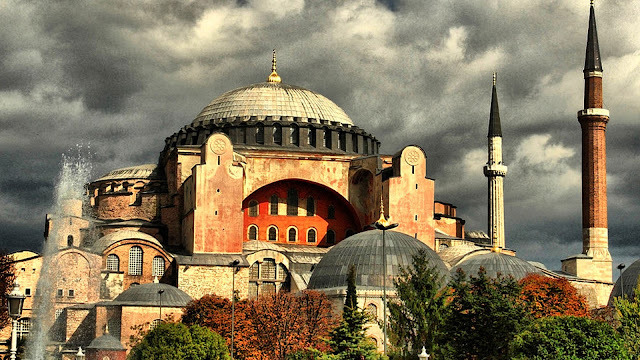 (Having entered one of the Athonite desert monasteries, John hid his position in the imperial court, calling himself a simple shepherd, and thus was sent to pasture the monastery's herds in the desert.) While sitting near his flocks at pasture, John began to sing the divine songs he had formerly sung in the imperial choir. His melodious voice flowed in the open desert, and John surrendered his whole soul to the singing, resting in the thought that he was alone in the desert and no one was hearing him. Meanwhile, his sheep and goats left off grazing and surrounded their singing shepherd: as if holding their breath, they stood motionless before him, directing their eyes to him as though fascinated by his angelic singing . Behold deeply spiritual singing, coming forth from the depths of the soul and conscious mind! It is able not only to inspire the rational soul and lift it towards its Creator, but to touch even speechless and irrational animals. 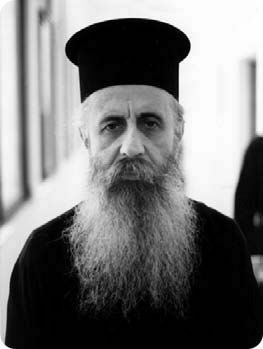 Once, according to custom, John sang the Akathist to the Mother of God together with other singers on the right cliros. 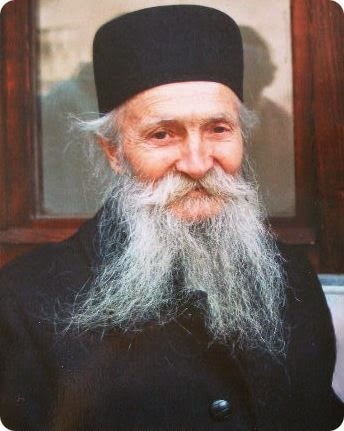 After the vigil he sat down in a stall (a monks seat) in front of the icon before which they sang the Akathist, and being weary he slumbered lightly. Suddenly a gentle, sweet voice woke him with the words: Rejoice, O John! 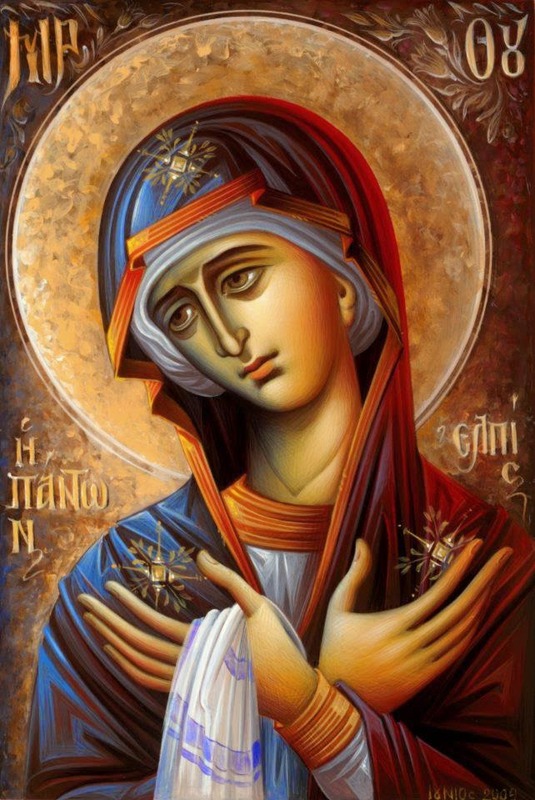 John jumped up; before him stood the Mother of God in the radiance of heavenly light. Sing and do not cease singing, she continued, and for this I will not forsake you! At these words the Mother of God placed in Johns hand a gold coin and became invisible. 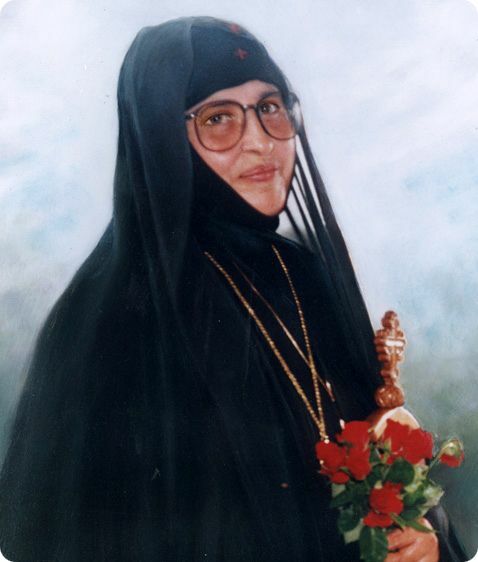 Do you see of what great honors those zealous singers are thought worthy while still here on earth, who not only with their lips, but also with heart and mind sing of the Lord and His Most Pure Mother! Indeed, how will we avoid the just judgment of God for our listlessness and laziness and negligence, on account of which we willfully turn even the greatest gifts of God into our own property, which we dispose of as we want, according to our evil will and sinful habits. What a wonderful and great gift—the gift of a voice and the ability to sing! They were given to us for this, that with them we might both glorify the Lord ourselves, and incite others to do the same. And how often we turn these talents to our harm: becoming proud of them, we abase our neighbors who dont have them, we are idle in using them properly to the glory of God, and when we do, we do not use them in a fitting manner, nor as is required by the majesty of these gifts. May the Lord therefore give thee understanding (II Tim 2:7) to apprehend the height of your vocation in the office of singer in the chorus of the Heavenly King. Bring the gift as a sacrifice to its Giver, for what hast thou that thou didst not receive? (I Cor. 4:7). Are not all our talents and abilities from the all-generous God, and will He not require from us an account of their use? Having arrived at the cliros and stood in your place, first of all cross yourself and bring to remembrance that you have come before the invisible face of the King of Glory, Whom at this very moment, as always and ceaselessly, all the heavenly hosts glorify, and that presently your feeble and insignificant voice must join this celestial praise. 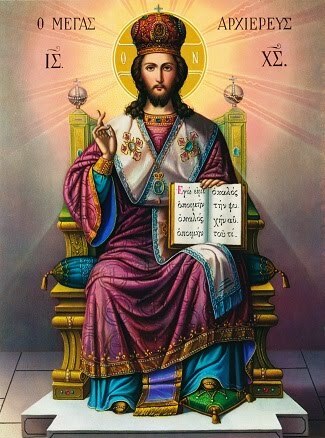 Impress this upon your consciousness, turn mentally to yourself and say to your self, i.e., to all the powers of your soul: mind, thoughts, heart, will, zeal, and the rest: Come, let us worship and fall down before Christ, and let us weep before the Lord Who made us! (Ps. 94:6). The Lord will protect the good free-will actions of your heart, will give you His grace, will renew your powers, and, as the perfume of sweet-smelling incense, your singing will ascend before the Altar of the Most High. For strengthening and consolation remember more frequently the most sweet words of the Mother of God to her wonderful singer John: Sing and do not cease singing, and for this I will not forsake you! 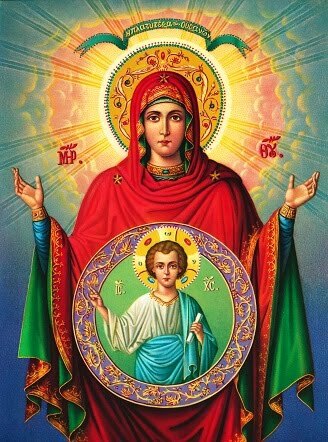 Believe and hope that the Most Holy Mother of God will not abandon you either in this extremely difficult world, nor in the future blessedness, where she will vouchsafe crowns of glory unto those who sing hymns of praise to her. Amen. 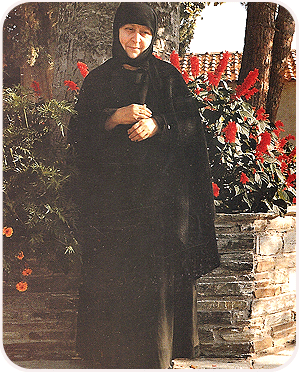 by Abbess Thaisia (St. Xenia Skete Press, 1993): pp. 50-56.